Koami Jinja is a small shrine standing at a business district in Tokyo. 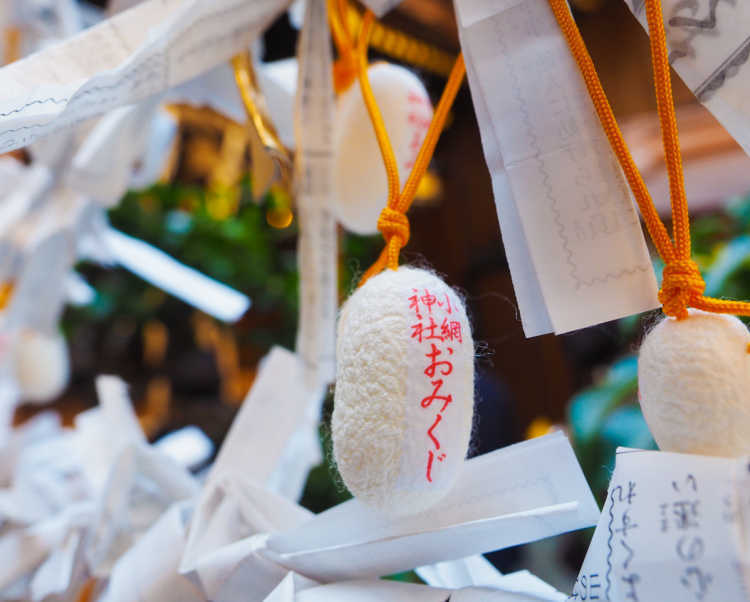 And its omikuji (oracle) in a real cocoon is famous. If you get one, you may be able to get a long good relationships like a thread!